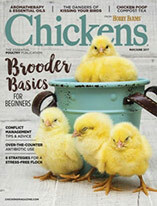 Warm temperatures have not yet reached some parts of the U.S., but hens are laying more because of increased daylight. Here's how to prevent frozen eggs and what to do with ones you find. It’s mid-April, time for spring flowers, warm rain showers and the soft, bright green that signals the season of rebirth … well, for some of us. In parts of the United States, winter still thrives, with snow squalls, ice storms and subfreezing temperatures. The weather might be confusing to us humans, but it’s even more so to the chickens. Hens are producing eggs in direct correlation to the increase in daylight, and they don’t understand that a blizzard is raging outside. As a result, we sometimes open our nestboxes to discover frozen, cracked eggs. It’s disheartening to see our girls’ efforts become casualties of capricious weather. It can also be embarrassing if we have customers waiting for their freshly laid dozen. Until the forecast bids farewell to the polar precipitation—which isn’t until June in some parts of the country—finding frozen eggs in our henhouses is a distinct and distressing possibility. Minimize your nestbox losses by trying one of these fixes. Having more than the minimum amount of litter in your nestboxes goes a long way to protecting freshly laid eggs. An extra couple of inches not only provides protective cushioning to receive the eggs, it also helps insulate against the cold. For an extra buffer against the chill, place dryer lint underneath the nestbox litter. Your hens will appreciate the additional comfort, too. Leaving eggs in the nest for too long during wintry weather is an almost certain guarantee that they will freeze. 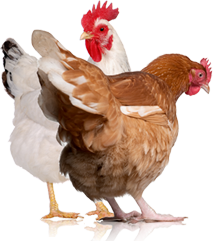 They exit the hens at about 105 degrees and encounter a drop in temperature of 70 degrees or more. In those below-freezing conditions, the yolk and albumen quickly begin to solidify. Limit your eggs’ exposure to the cold by collecting them more frequently throughout the day. If your schedule keeps you away from your coops, arrange for you child—or that of a neighbor—or a trustworthy friend to collect eggs before and after school. 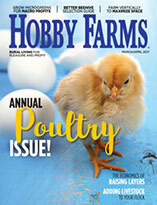 If your henhouse has wiggle room, consider remodeling. Adding insulating sheathing to your nestbox construct increases heat retention during winter (and reduces the transfer of outdoor heat during summer) to help keep your eggs from freezing. Make certain that no insulation is exposed, as this is a potential threat to inquisitive chickens. Also ensure that you retain the dimensions of your nestboxes. Each box should measure at least 12 inches high, wide and deep (and larger for bigger birds); if adding an insulation layer will reduce the size of your nestbox, consider a different option. What About the Frozen Eggs? Frozen eggs in themselves are not bad. In fact, freezing eggs—by either separating the yolks from the whites or beating them together—is an effective way to store your surplus. However, eggs that freeze in the nestbox should be discarded immediately, especially if the shell has cracked. Eggshells are porous; with an exposed interior, the egg is more susceptible to contamination. Remove and dispose of all frozen and cracked eggs and make sure your nestbox litter has not been soiled by raw egg that might have seeped through the eggshell crack in case it started to thaw.